To use the ZED plugin for Unreal, you need to download and build our custom engine for AR/MR. Note: You’ll also need Microsoft Visual Studio 2015 (Update 3) to compile our build. If you don’t already have it installed, you can get the free Community Edition here. 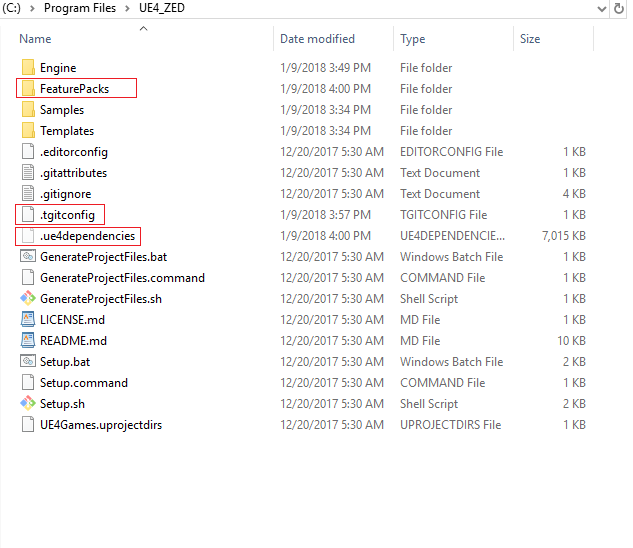 Once you’ve downloaded the source code, extract it into a folder or open the folder you’ve cloned the repository into. Now run GenerateProjectFiles.bat. You should see the screen below for a moment before a few commands flash on the screen and the program closes. Note: Like Setup.bat, if this program throws error messages, right-click the program and click Run as Administrator. 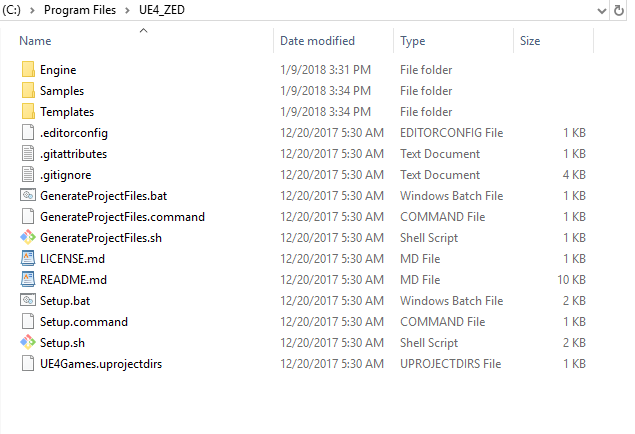 You’ve got another new file in your root folder: UE4.sln. 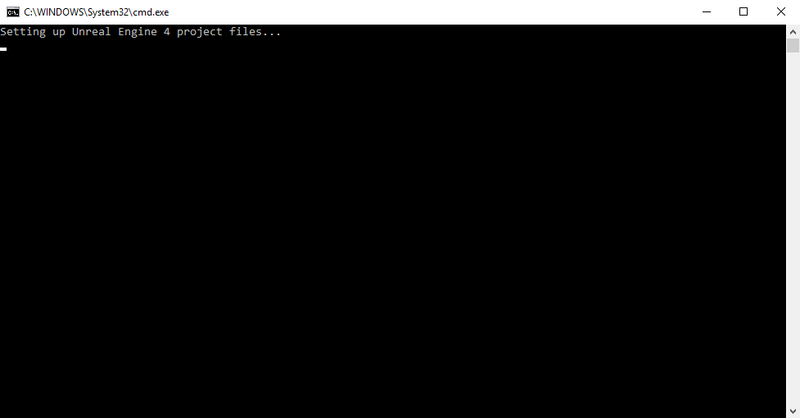 This is a solution file for Visual Studio. Double click it and it’ll open. 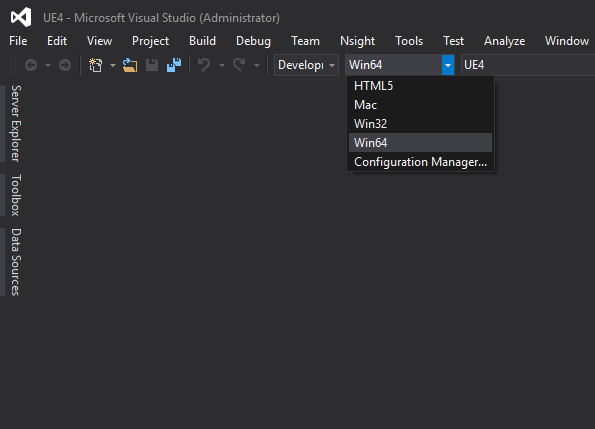 Once there, set your Solution Configuration at the top to “Development Editor”. If it’s not already, set your Solution Platform to Win64. 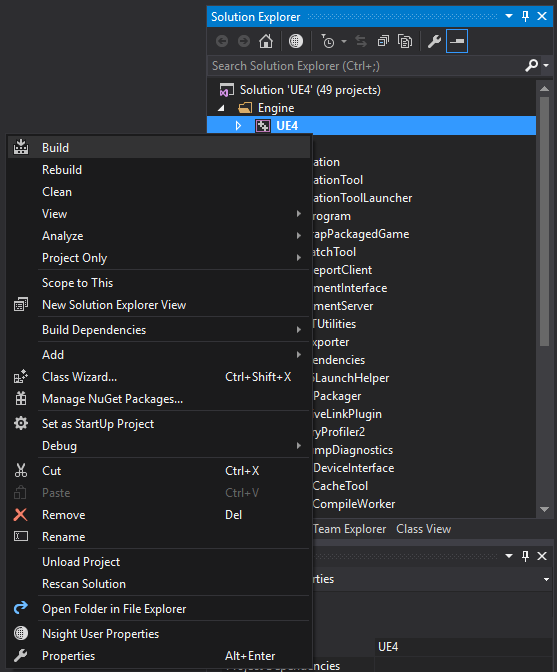 In the Solution Explorer (the column on the right by default) right-click the UE4 solution and click Build. Visual Studio will now build the files you downloaded into the editor application that you’ll use to build your AR app. It’s a lengthy process (10 to 40 minutes according to Epic Games) so now’s a great time to attach your ZED to your headset (if you haven’t already), grab a drink, or catch up on your favorite Twitter feeds. Note: The green progress bar at the bottom will reach 75% quickly, but stay there for most of the duration of the build. 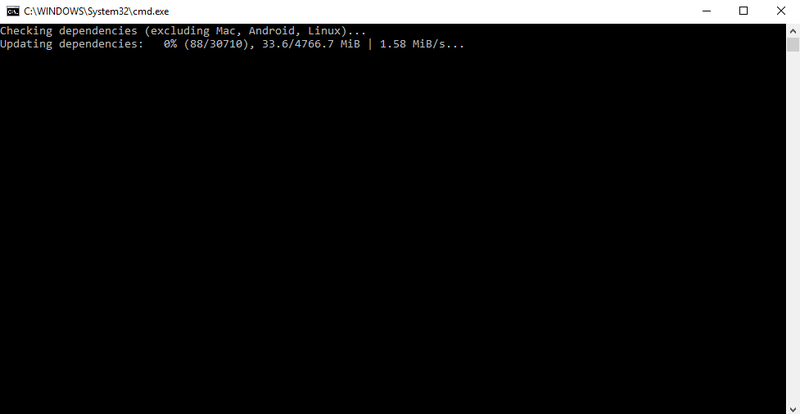 When the build has finished, you’ll see confirmation at the bottom of the output window.